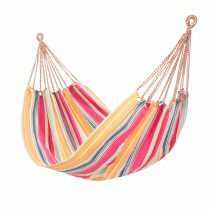 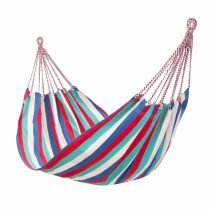 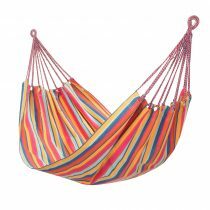 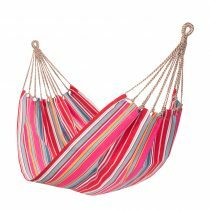 Lounge in the sun or bring that holiday vibe to your garden with our Indian Striped Hammock, the perfect accompaniment to the matching Deckchair and Hammock Chair Swing. 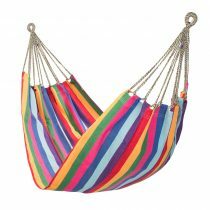 Whether you want to relax on your own in the sun or chill out with friends our hammocks can be fixed in a range of ways to suit your needs. 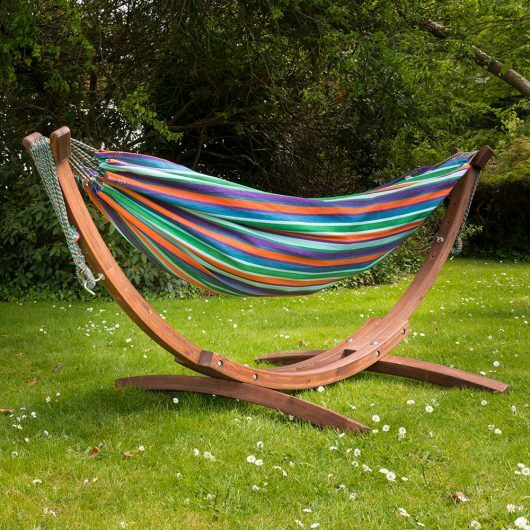 Our premium beautiful canvas fabrics are a real eye-catcher to brighten up any garden. 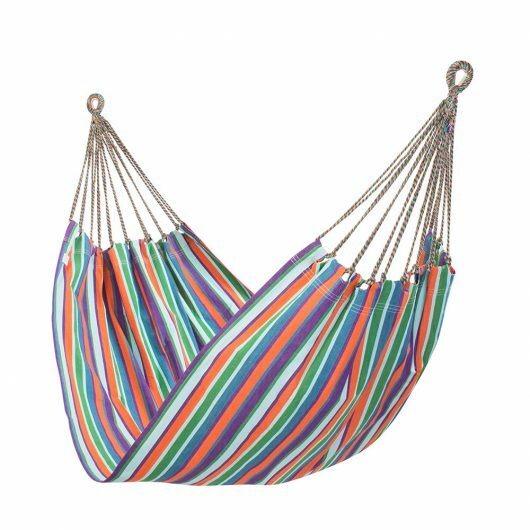 These products don’t just look great but are practical too; they are made from high quality machine washable 10oz canvas cotton with UV protected inks and are made in India, in line with our Ethical Trading Policy.